Hardwood floors are the most popular of flooring choices currently because they are sturdy and easy to maintain on a day to day basis. However, many people or quite unaware of how to properly take care of a hardwood floor in between professional cleanings and end up doing more harm than good. Check out this cleaning guide for how to properly clean your hardwood floors and keep them looking amazing for years to come. It is important to know what your floor planks are coated in to protect them from daily use before you get out the mop and bucket and have at it. This will determine how you clean and what you need to clean with. Rub your finger across the floor, if there is no smudging, the floor is sealed. If the floor is smudged it is treated with a penetrating seal, oil finish, shellac, varnish, or lacquer. Surface-sealed: Many newer wood floors are coated in urethane, polyurethane, or polyacrylic. Surface-sealed floors are resistant to stain and water damage and are the easiest to care for. Dust mopping or sweeping with a soft bristle broom and a weekly dry mopping is all you need. Penetrating Seal-treated and Oil-treated Floors: Penetrating Oil or seal finish soaks into the wood grain and then hardens. The best treatment for this type of finish is an occasional liquid or paste waxing in addition to routine daily care. Lacquered, Varnished, Shellacked, and Un-treated: These types of treatment are not as resistant to moisture so they will need a liquid or paste wax treatment in addition to routine daily care. The first thing to be mindful of with mopping hardwood floors is that water is wood’s worst enemy. The best mopping method is the dry mopping method or damp mopping as it is sometimes referred. Dry Mopping is simply using a mop with a flat head and removable washable pad, like a Swiffer, use a spray bottle to apply cleaner made specifically for hardwood floors. Bona is a popular hardwood cleaner that already comes in the spray bottle. Make sure to spray the cleaning solution sparingly. Follow with a clean pad and a spray bottle of water to rinse soap away if you would like to be extra sure dirt is not attracted to the cleaning solution. Mopping and wax floors are not a good mix. For wax floors, it is good to invest in a special hardwood floor vacuum or a quality dust mop and vacuum or dust mop on a regular basis between waxing. Need help caring for your hardwood floors? 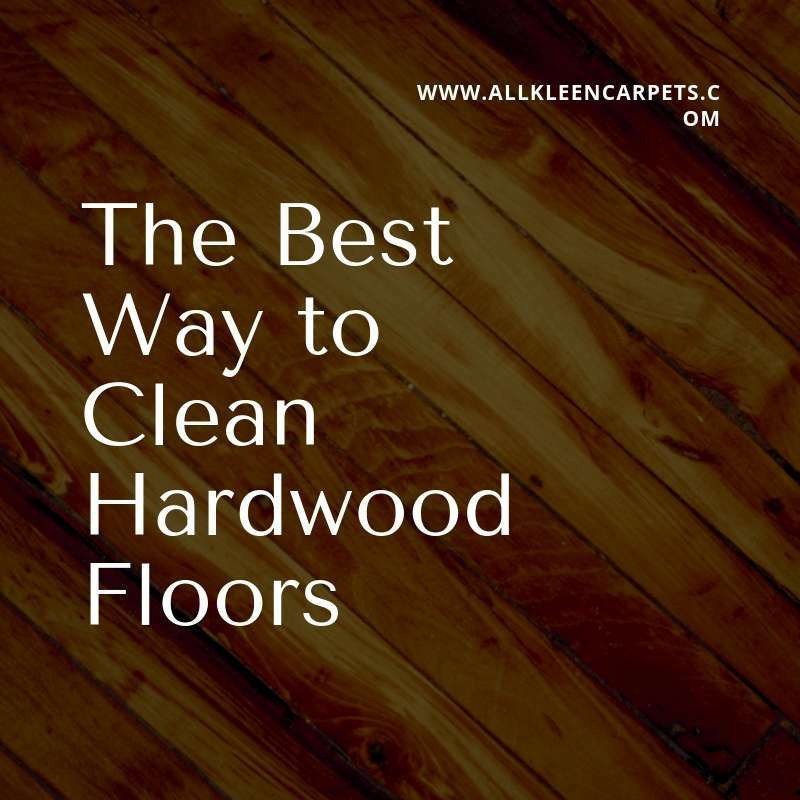 Make an appointment for professional hardwood cleaning in Bothell and surrounding areas with All Kleen.